You are currently browsing the tag archive for the ‘Krannert Center’ tag. 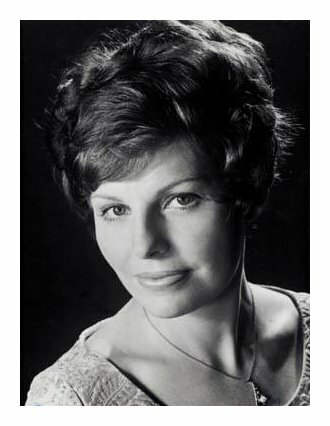 Wishing a very happy eightieth birthday to the fantastic Australian mezzo-soprano, Yvonne Minton! Recorded by London Records on April 1 and 7, 1970, in Orchestra Hall. The recording was produced by David Harvey; Gordon Parry and James Lock were the balance engineers. Recorded by London Records in Orchestra Hall. The recording was produced by David Harvey; Gordon Parry and James Lock were the balance engineers. Recorded by London Records on May 8 and 9, 1972, at the Krannert Center for the Performing Arts, University of Illinois at Urbana-Champaign. The recording was produced by David Harvey; Kenneth Wilkinson and Gordon Parry were the balance engineers. Recorded by London Records on May 15, 16, and 26, 1972, at the Krannert Center for the Performing Arts, University of Illinois at Urbana-Champaign. The recording was produced by David Harvey; Kenneth Wilkinson and James Lock were the balance engineers. 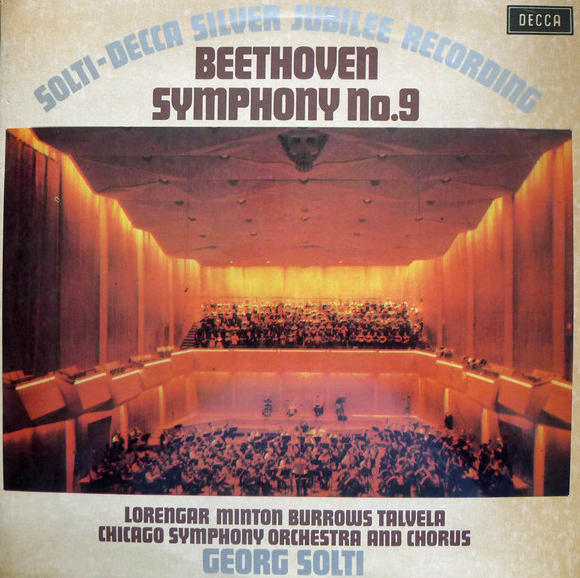 This recording was ultimately released as part of a set of Beethoven’s complete symphonies (along with three overtures: Egmont, Coriolan, and Leonore no. 3); that set won the 1975 Grammy Award for Classical Album of the Year from the National Academy of Recording Arts and Sciences. The work was recorded in Chicago’s Medinah Temple on May 16, 17, and 18, 1977. For London Records, Ray Minshull was the producer and Kenneth Wilkinson, John Dunkerley, and Michael Mailes were the engineers. The recording won the 1978 Grammy Award for Best Choral Performance, Classical (other than opera) from the National Academy of Recording Arts and Sciences. The work was recorded in Orchestra Hall on March 28, 1981. For Deutsche Grammophon, Steven Paul was the executive producer, Werner Mayer the recording producer, and Klaus Scheibe was the balance engineer and editor. The Chicago Symphony Orchestra family joins the music world in mourning the loss of Lorin Maazel, a frequent and beloved guest conductor for forty years, from 1973 until 2013. Maazel died on July 13, 2014, at his Castleton Farms estate in Virginia. He was 84. 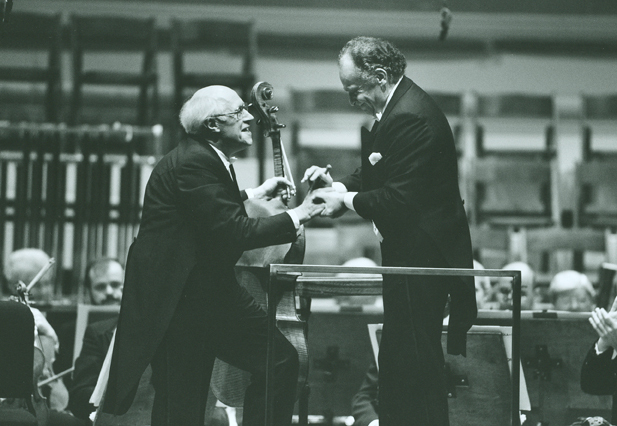 During his forty-year collaboration with the Orchestra, Maazel’s repertoire covered a wide range of composers, including Beethoven, Brahms, Hindemith, Holst, Kernis, Mahler, Mendelssohn, Mozart, Penderecki, Prokofiev, Respighi, Strauss, Stravinsky, Tchaikovsky, Verdi, and Wagner. 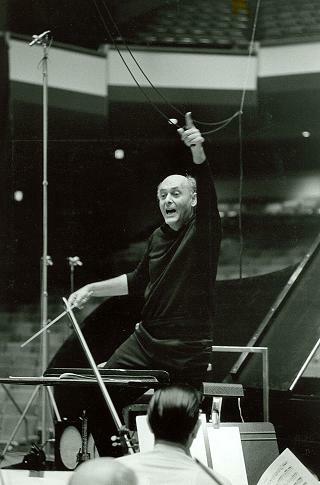 He was one of several conductors invited to share the podium for the CSO’s Centennial Gala on October 6, 1990, and a few weeks later he led the Orchestra in the world premiere of Shchedrin’s Old Russian Circus Music (commissioned to celebrate the CSO’s centennial season) on October 25, 1990. A noted composer, Maazel also led the Orchestra in the U.S. premiere of his own Farewells on December 14, 2000. Maazel’s last appearances with the Chicago Symphony Orchestra were tour concerts in January and February 2013, including stops in Hong Kong, Shanghai, Beijing, Tianjin, and Seoul. 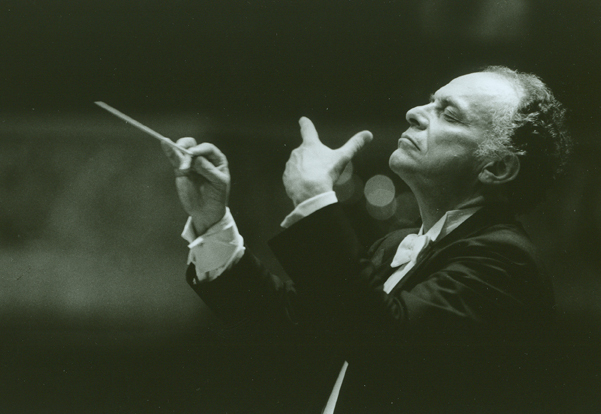 A statement from the Chicago Symphony Orchestra on Lorin Maazel’s passing can be found here. A February 2005 performance of Maazel leading the Chicago Symphony Orchestra in Brahms’s Serenade no. 2 in A major, op. 16—including the maestro speaking on Brahms—may be listened to here. 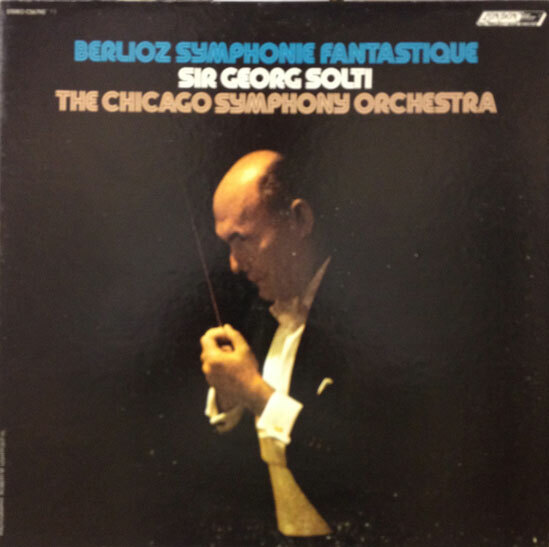 In May 1972, Sir Georg Solti and the Chicago Symphony Orchestra recorded Berlioz’s Symphonie fantastique at the Krannert Center for the Performing Arts at the University of Illinois at Urbana-Champaign. The work was recorded for London Records; David Harvey was the producer, and Kenneth Wilkinson was the engineer. 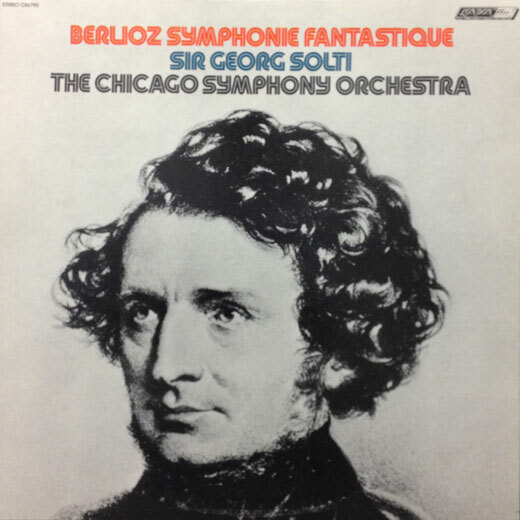 In the November 1972 issue of Gramophone magazine, Jerrold Northrop Moore wrote: “The team of Decca engineers working in Chicago have done this portion of their work wonderfully well. Each of the three orchestral choirs, and especially the fourth section—the percussion—has been given its own special sound. So there is a greater separation (in a way that has nothing to do with stereo) than one would hear from any one place in the concert hall. Listening to this recording is almost like occupying all the best seats at once. That serves Berlioz’s peculiar kind of sonic counterpoint very well indeed. Yet the tuttis combine, I venture to say, every bit as well as their extravagant composer envisioned that they might. At the time, Rose Records at 214 South Wabash (later Tower Records and now a school for barbers-to-be) had a neon sign made to promote the recording. 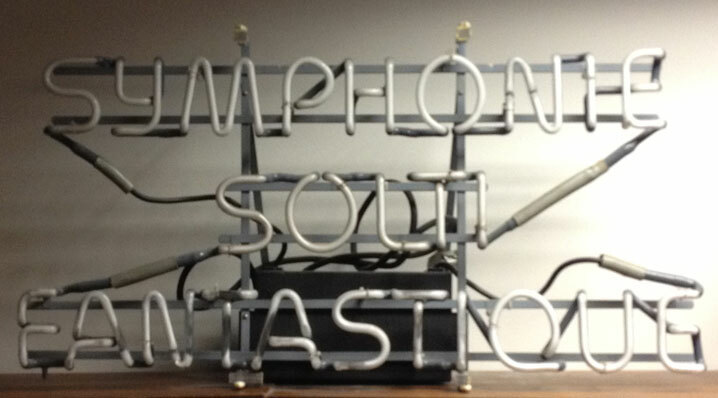 The sign was on display in the store for several years, later donated to the Orchestra, and ultimately found its way to the Rosenthal Archives. Sadly, it no longer illuminates; the last time it was plugged in years ago, only half of one of the letters fizzed slightly. But it is still looks great on top of the shelves in the reading room. The recording won 1974 Grammy Awards for Best Classical Performance–Orchestra; Best Engineered Recording, Classical; and Album of the Year, Classical from the National Academy of Recording Arts and Sciences. Berlioz’s Symphonie fantastique album front cover . . .
. . . and back cover. 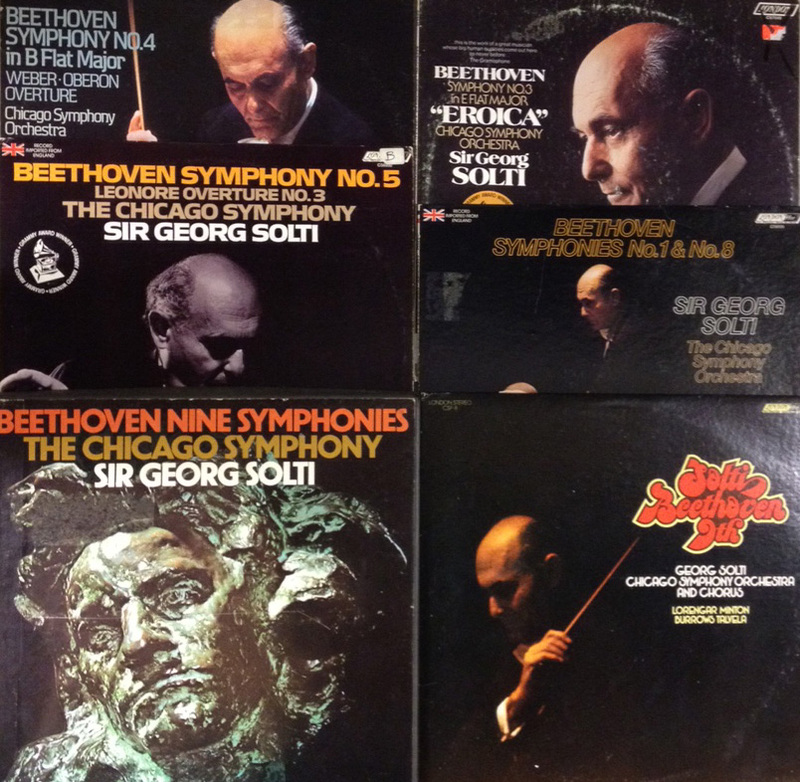 Sir Georg Solti and the Chicago Symphony Orchestra and Chorus first recorded Beethoven’s nine symphonies between May 1972 and September 1974 for London Records. 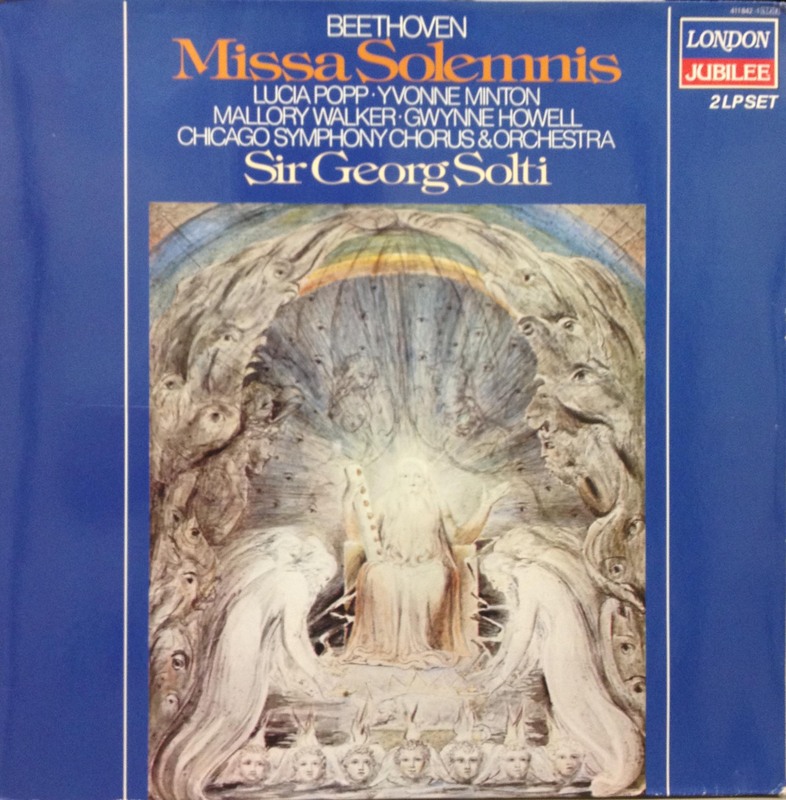 The recordings were ultimately released as a set (along with three overtures: Egmont, Coriolan, and Leonore no. 3); that set won the 1975 Grammy Award for Classical Album of the Year from the National Academy of Recording Arts and Sciences. 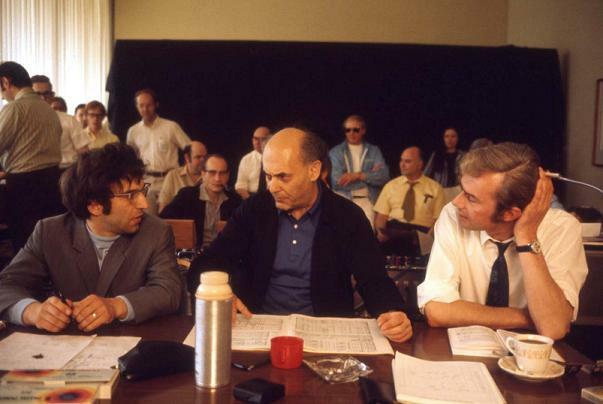 A recording session for Beethoven's Fifth or Eighth Symphony at Medinah Temple in November 1973. 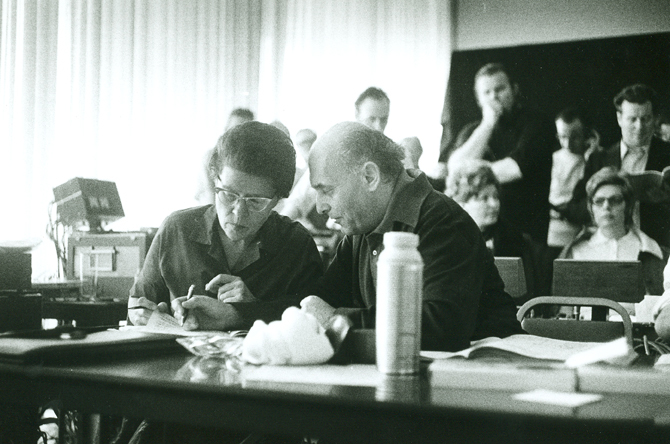 Margaret Hillis and Solti listen to playbacks of the Ninth Symphony at the Krannert Center in May 1972. In May 1971 and 1972, Vladimir Ashkenazy recorded Beethoven’s five piano concertos with the Chicago Symphony Orchestra, Solti conducting. 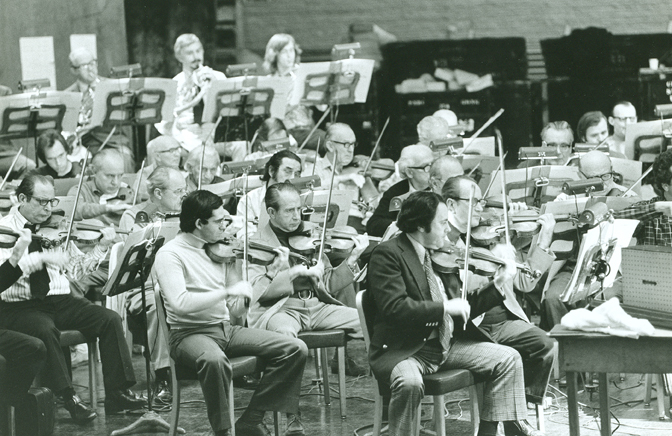 On May 10 and 11, 1971, the third and fifth concertos were recorded, and a year later on May 22 and 23, 1972, the cycle was completed with the first, second, and fourth concertos. All recording sessions took place at the Krannert Center for the Performing Arts at the University of Illinois at Urbana-Champaign. For London Records, the recording was produced by David Harvey; Kenneth Wilkinson was the recording engineer. The set of all five concertos won the 1973 Grammy Award for Best Classical Performance—Instrumental Soloist or Soloists (with orchestra).